1. A fishing pole with thick line-10lb or stronger. 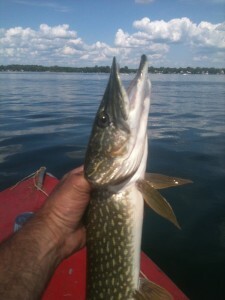 What would it be worth if I told you about a sure fire guaranteed Pike Catching Lure? I was a fishing idiot at one time, worms were my only bait. Then a friend turned me on to this little gem, then I was an instant Pike Master! Eppinger Lure Co. located in Michigan has been around over 100 years. 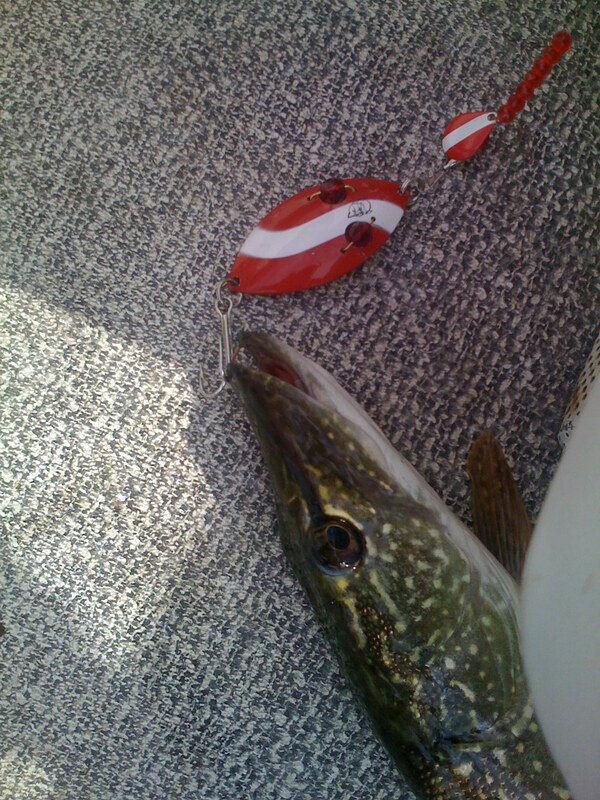 The lure of choice for me is the “Red Eye Wiggler” 3″ or the 4 1/2″ as shown in the picture below. I can’t begin to tell you how many Pike I have nailed with this lure, and even an occasional Bass! Technique to use is simple cast out and retrieve it in slowly. The best places I’ve had the most luck is in 6-12 feet of water in and around weed beds. The edge of the weed beds seems to be the most productive. Once you hook a Pike you want to reel it in until it clears the weeds, once you give them a chance to swim into the weeds they will bury themselves into them making it nearly impossible to untangle them. Find a “Red Eye Wiggler” on Ebay for around $5 and go catch some Pike! Do you have a sure fire lure, then the rest of us fishing dummies would like to hear about it, leave a comment please. Previous Post:Flipping for Bass-Learn this and catch more Bass! 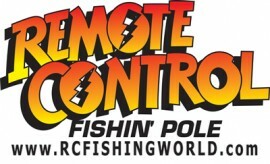 Next Post:Welcome to virtual fishing!